Better Search Replace will assist with changing URLs or slugs etc in your database. It is also very helpful when changing your site from HTTP to HTTPS. 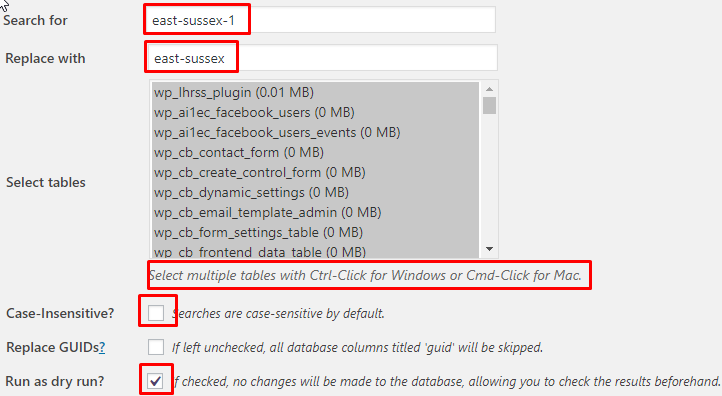 This happens because WP does not allow duplicate slugs, and there already is something else using the slug east-sussex. This can be a tag, or a post name etc. It can also still be in the database from an old plugin you deleted. Then search for east-sussex-1 and replace all results (except the one you just changed) with east-sussex. Go to your database using phpMyAdmin. Search for the “correct” slug and replace it if required. If all is OK, run the process, but un-tick the “Run as dry run” box. Once that is done, re-save WP Settings > Permalinks.